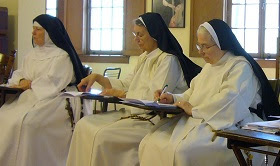 Each year the nuns of our Order enter into a prolonged period of silence which is called the annual retreat. During this time, an invited preacher gives daily conferences on some aspects of the spiritual life. 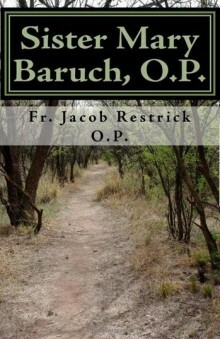 This year our retreat master is Father Jacob Restrick OP. Father has the experience of having been chaplain of several of our monasteries. He is now stationed at Rosary Hill, which is a home for cancer patients run by the Dominican Sisters of Hawthorne, New York. A couple of years ago, Father published a novel called "Sister Mary Baruch, O.P." which tells a story of a young woman's conversion and her vocation to the religious life. You might be interested in a review of his book. Please pray for us as we start our retreat this afternoon and continue through St Dominic's feast day, August 8th. 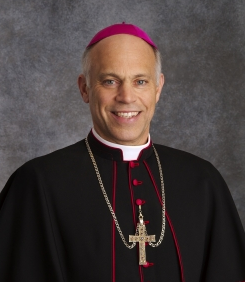 Congratulations to our new Archbishop-elect of San Francisco! More information about him is here. A Visit with Bishop Cardileone last year. We are grateful for the inspired leadership of our Archbishop George H. Niederauer and we are looking forward to seeing him more often as he becomes our neighbor. 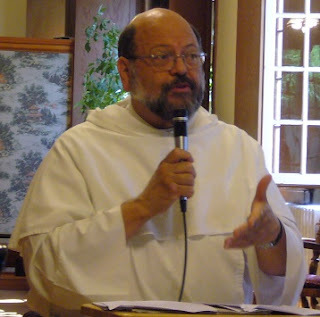 The Dominican monasteries in our country have a program of On-Going Formation. Every year a topic is chosen, and each monastery invites a speaker who is an expert on the chosen subject to give a couple of lectures on some aspect of that topic. These lectures are recorded and each monastery receives a copy; thus we all benefit from the speakers in all the other monasteries. This year the topic is the Encyclicals of Pope Benedict XVI, and the one assigned to our monastery is Caritas in Veritate (Charity in Truth) which is an exposition of Catholic Social teaching. Our speaker was a Professor from the University of St. Thomas (the Angelicum) in Rome, Father Luke Buckles, OP. 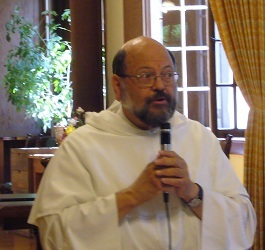 Father belongs to our Western Dominican Province and has been a dear friend of our monastery for many years. As he comes home to California each summer, we were fortunate to be able to have him as our speaker on this timely document while he was here. He gave us an overview of the encyclical as a whole and then showed us how it fits so perfectly into our Dominican spirituality. Every social, economic, political and cultural issue in today’s world can, and is, influenced by the life of prayer of the nuns. 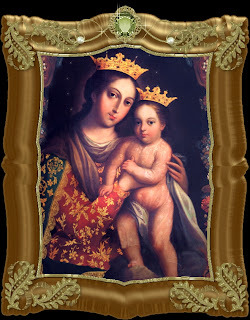 This painting is from the hands of the artist, Joseph de Paez, 1750, Mexico. The Franciscan missionary Francisco Diego Garcia y Moreno was the first Bishop of Baja, California. He proclaimed Nuestra Señora del Refugio, as Patron on January 4, 1843, at Mission Santa Clara in Alta California. The entire text of Bishop Garcia Diego's declaration is recorded in Mission Santa Clara's Libro de Patentes. After citing the early Fathers of the Church on the practice and spiritual benefits of naming patron Saints, the first bishop of the California stated: "We make known to you that we hereby name the great Mother of God in her most precious title, 'del Refugio, ' the principal patroness of our diocese . 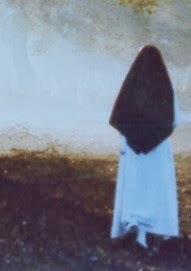 . . With so great a patroness and protectress, what can we not promise ourselves? What can be wanting and whom need we fear?" In 1981 the California Catholic Conference of Bishops petitioned the Vatican Congregation for the Sacraments and Divine Worship for authorization to observe the Feast of Our Lady of Refuge on July 5 as an obligatory memorial. This was approved by official document dated January 15, 1982, and signed by Archbishop Giuseppe Casoria. The diocese of Baja California celebrate this patronal Feast on July 4. Paintings of Our Lady of Refuge are, with few exceptions, quite similar in design and execution. The heads of the Infant Jesus and his Mother Mary lean together with no background between them. Both figures wear a crown. Mary’s eyes are turned toward the observer, while the gaze of the child seems to turn left of the viewer. In the Santa Clara Mission church the painting of Our Lady of Refuge is found above the larger picture of Our Lady of Guadalupe in one of the side altar niches on the left as one nears the sanctuary. Another painting by Eulalio, a local Native American, is on display in Santa Clara University’s De Saisset Museum near the mission church. The above image is darker than the Eulalio painting, which has a wood-tone background. The flower motif is almost the same; the two figures are almost identical in both images. Fr. Robert Francis Christian, OP has just been appointed as a Consultor to the Pontifical Council for Promoting Christian Unity by the Holy Father. This appointment will be for 5 years. He is of the Western Province of the Most Holy Name of Jesus, USA. Fr. Christian is an associate professor for Sacraments and Ecclesiology at the Faculty of Theology at the Pontifical University of St. Thomas Aquinas (Angelicum), Rome. He is also the Vice Dean of the faculty. 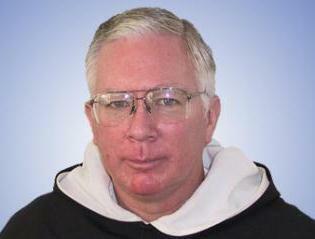 Although he attended a Jesuit high school and college, Fr. Christian joined the Dominican Novitiate at Oakland after graduation from college. He made profession in I971 and was ordained in the priesthood 1976. He started his teaching career immediately after his ordination at Dominican College (now Dominican University) in San Rafael. He got his doctorate in dogmatic theology from the Angelicum in 1984. For a year in campus ministry both at Riverside and Seattle, he returned to the Angelicum. He started teaching at the Anglicum in 1985 and was there until 1997 when he returned briefly to his home province to serve as socius and vicar provincial for two years. He came back to the Anglicum in 1999 and he is still there till date. He is also a member of the Anglican-Roman Catholic International Commission (ARCIC). From the Anglicum, Fr Christian has been at the service of the Church and humanity and we are sure he will continue to do such even in his new appointment. The Pontifical Council for the Promoting of Christian Unity is entrusted with the promotion, within the Catholic Church, of an authentic ecumenical spirit according to the conciliar decree Unitatis redintegratio. At the same time, it also aims to develop dialogue and collaboration with the other Churches and World Communions.